Everyone plays. Do it with style! Whether you're a skillful expert, an occasional player, or a youngster just learning the game, everyone can enjoy a game of pool. We can satisfy your needs for precision play, durability, and style with tables that your family will enjoy for many years to come. 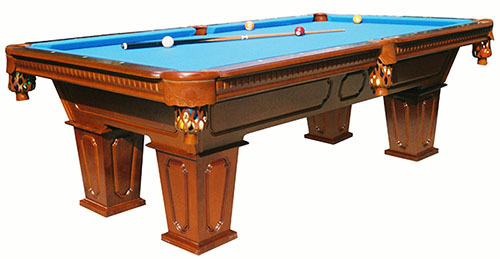 Our pool tables are beautiful pieces of fine furniture that are skillfully crafted and custom-finished. Choose from many styles, wood finishes, and dozens of cloth colors to create the perfect look for your game room. Tables are priced for every budget. Visit one of our stores today for more information regarding the pool tables we sell in the St. Louis area.